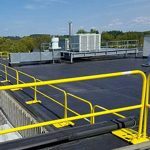 You told us you needed a non-penetrating system that is complaint and durable at a significantly reduced price … and that is what we now offer. 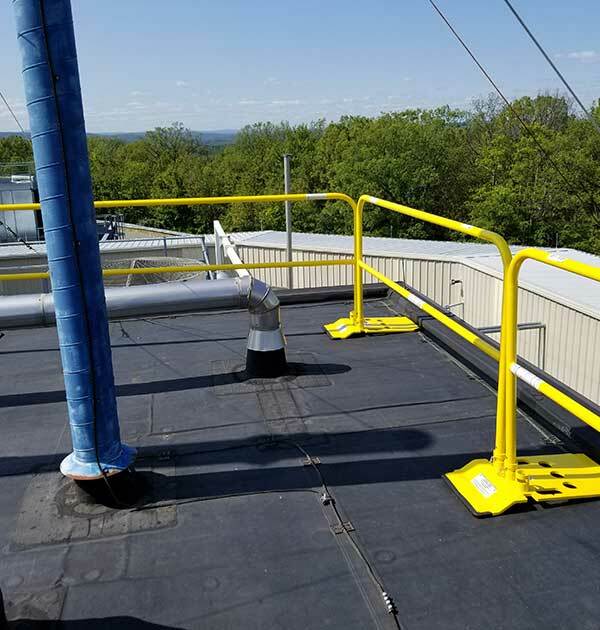 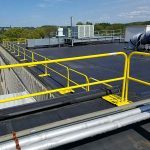 Historically non-penetrating roof edge protection systems have relied on their sheer weight and to a lesser degree on leverage to meet OSHA’s requirements for fall protection railings. 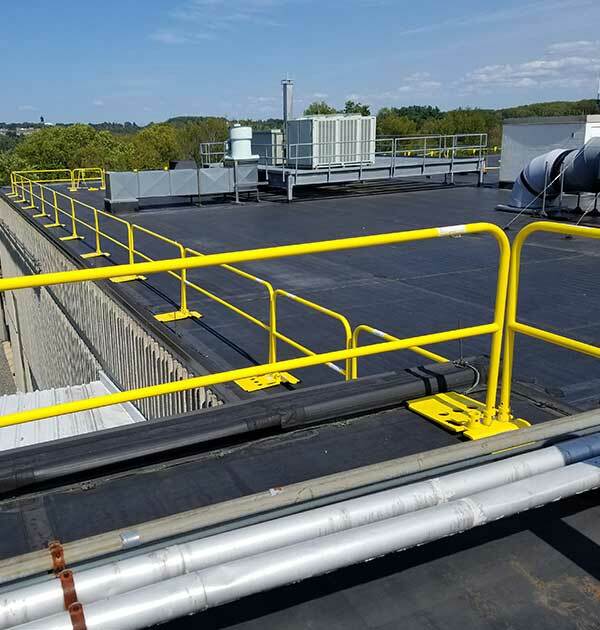 Recognizing the adverse cost impact of this approach on producing, shipping and installing a roof edge protection system, our engineering team looked to reduce the weight of the overall system and meeting or exceeding OSHA requirements. 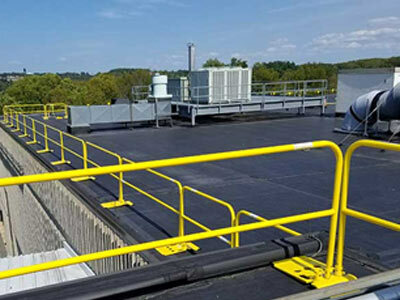 We are proud to share that we have succeeded. Challenging the physics of existing designs our engineers began by developing a rectangular base that is much lighter and therefore less costly to produce and transport. 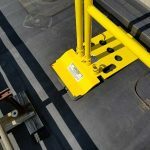 In addition, this system is easier for your team to install given its reduced weight and tool less installation. 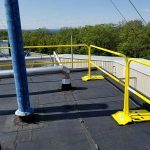 NEXTGEN 3000 is modular in its design and can be used as permanent fall protection system or can be moved from project to project.